The Baltic Sea Philharmonic and Kristjan Järvi completed a special anniversary tour of Italy, Germany and Poland with a concert in Gdańsk on 24 September. The 15-day ‘Nordic Pulse’ tour was a double celebration for the Baltic Sea Philharmonic, marking ten years since the orchestra’s creation and also the 100th anniversary of independence for the three Baltic States, Finland and Poland. Composers from all five countries were represented on the programme: Wojciech Kilar from Poland; Lithuanian Gediminas Gelgotas; Arvo Pärt and Kristjan Järvi from Estonia; Finland’s greatest composer Jean Sibelius; and Imants Kalniņš from Latvia. The orchestra reinforced its commitment to memorised performance by playing a special arrangement by Kristjan of the concert suite from Sibelius’s The Tempest – as well as the first movement of Kalniņš’s ‘Rock’ Symphony and two encores – completely by heart. Norwegian violinist Mari Samuelsen made her debut with the orchestra in Arvo Pärt’s Fratres and Kristjan’s violin concerto Aurora. The orchestra’s 65 musicians prepared for ‘Nordic Pulse’ with five days of intensive rehearsals in the Bavarian village of Pielenhofen. They then set off on an ten-day tour during which they would travel more than 1,800 km across Europe and perform to around 4,000 concert goers. The opening concert in Merano, Italy, on 17 September, was the Baltic Sea Philharmonic’s third appearance at the Merano Music Festival. The following evening the orchestra made its debut in Munich, performing in the Bavarian capital’s beautiful Hercules Hall. Staying in Germany, the orchestra performed in Halle (Saale) on 20 September, in a concert in memory of the late former German Foreign Minister Hans-Dietrich Genscher. The Peenemünde concert was streamed live to 5,000 viewers on the Baltic Sea Philharmonic’s Facebook page, and was also recorded by Norddeutscher Rundfunk (NDR) for broadcast shortly. The orchestra’s ‘Nordic Pulse’ tour ended with a concert at the Polish Baltic Philharmonic in Gdańsk to mark the 100th anniversary of the formation of the Polish state. The Baltic Sea Philharmonic has one more special tour which will cap its landmark tenth year: in November 2018 the orchestra will make its first ever tour of the United Arab Emirates, where in collaboration with Sunbeam Productions it will perform its groundbreaking ‘Waterworks’ programme in Abu Dhabi and Dubai. A week from today, the Baltic Sea Philharmonic will begin its major European tour of 2018, ‘Nordic Pulse’. Inspired by the 100th anniversary of independence for the Baltic States of Lithuania, Latvia and Estonia, ‘Nordic Pulse’ also celebrates 100 years of independence for Finland and Poland and, moreover, ten years since the birth of the Baltic Sea Philharmonic itself. Having made history in 2017 as the first orchestra to perform Stravinsky’s The Firebird from memory, the Baltic Sea Philharmonic will play the entire second half of the ‘Nordic Pulse’ programme by heart. The tour begins in Merano, Italy, on 17 September, with a concert at the Merano Music Festival. The orchestra then travels to Germany, where it will perform in Munich for the first time, on 18 September. After a performance in Halle (Saale) on 20 September, the Baltic Sea Philharmonic will give the opening concert of the 25th Usedom Music Festival in Peenemünde on 22 September. The tour concludes with a performance in Gdańsk, Poland, on 24 September. Under its Estonian-born conductor Kristjan Järvi, the orchestra will bring together music by composers from Lithuania, Latvia, Estonia, Finland and Poland in a programme that celebrates the energy, strength and natural wonders of these proud Baltic Sea nations. Polish composer Wojciech Kilar’s Orawa, which opens the programme, is inspired by the highland folklore and landscapes of the Tatra Mountains. Lithuanian composer Gediminas Gelgotas captures the power of nature in Mountains. Waters. (Freedom), a majestic piece that the Baltic Sea Philharmonic premiered in 2015. Norwegian violinist Mari Samuelsen joins the orchestra to perform two works by Estonian composers: Arvo Pärt’s Fratres and Kristjan’s violin concerto Aurora. The orchestra will then give memorised performances of Sibelius’s concert suite from The Tempest and the first movement of Latvian composer Imants Kalniņš’s ‘Rock’ Symphony. The Baltic Sea Philharmonic has opened its landmark tenth season of international touring with concerts at the Kissinger Sommer music festival in Bad Kissingen, Germany. Under the baton of Kristjan Järvi, the orchestra made its debut at the prestigious Bavarian music festival on 7 July with a new programme called ‘Nordic Pulse’, which showcases music by composers from the Baltic Sea region. Then on 9 July the Baltic Sea Philharmonic performed its unique ‘Waterworks’ programme in a spectacular concert presentation featuring cutting-edge lighting and sound design in collaboration with Sunbeam Productions. 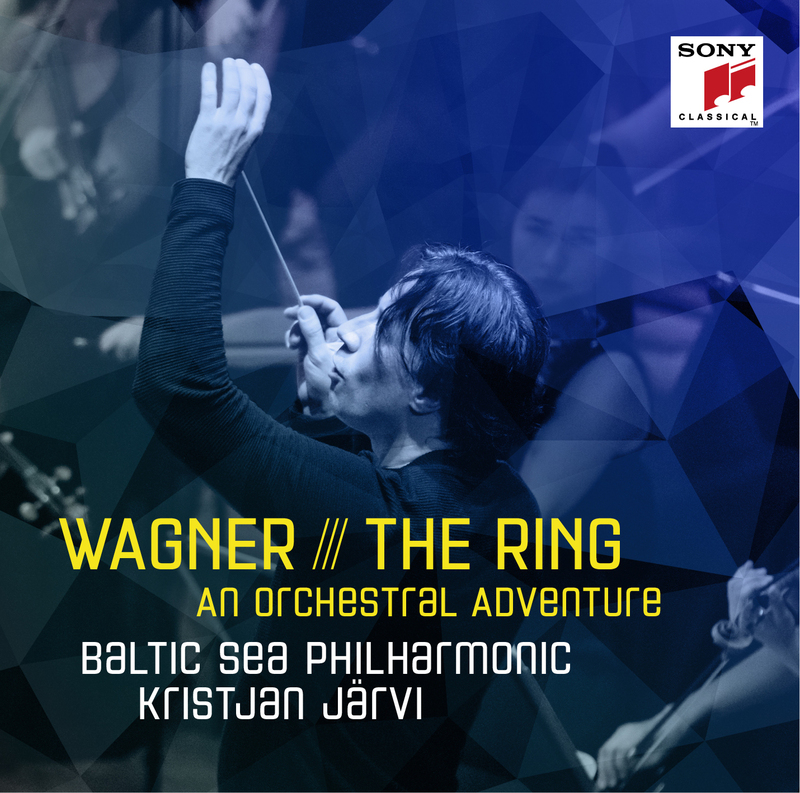 Bavarian public-service broadcaster Bayerischer Rundfunk recorded both performances for radio broadcast on 30 July (‘Waterworks’) and a future date (‘Nordic Pulse’). The orchestra’s stay in Bad Kissingen also included a special ‘Waterworks’ school concert for more than 600 children. The ‘Nordic Pulse’ concert at the Kissinger Sommer festival was a foretaste of the orchestra’s major ‘Nordic Pulse’ tour this September. In Bad Kissingen the Baltic Sea Philharmonic performed works by the Estonian-born Kristjan Järvi, the contemporary Lithuanian composer Gediminas Gelgotas, and Tchaikovsky. The concert opened with Kristjan’s Aurora, a piece inspired by the iconic Northern Lights, and closed with his arrangement of Tchaikovsky’s ballet Sleeping Beauty. A live recording of the orchestra’s performance of Kristjan’s arrangement is set to be released later this year. The Baltic Sea Philharmonic won acclaim in 2017 for its water-inspired concert presentation ‘Waterworks’, a bold new fusion of music, light, visual art and sound design in collaboration with Sunbeam Productions. The orchestra brought ‘Waterworks’ to Bad Kissingen on 9 July with a programme of original arrangements of Handel’s Water Music and a new orchestral version of Philip Glass’s Aguas da Amazonia, a piece inspired by the Amazon river and its tributaries. The Kissinger Sommer audience had never experienced anything quite like this immersive symphonic production, and the orchestra’s powerful performance, in combination with Bertil Mark’s lighting design and Holger Schwark’s sound engineering, thrilled concert goers and critics alike. The Baltic Sea Philharmonic’s major ‘Nordic Pulse’ tour will take place this September as a double celebration. It marks ten years since the orchestra’s creation and 100 years of independence for the Baltic republics of Estonia, Latvia and Lithuania, as well as Finland and Poland. The tour begins on 17 September in Italy at the Merano Music Festival. The orchestra then travels to Germany, where it will play in Munich, Halle (Saale) and at the Usedom Music Festival in Peenemünde. The tour concludes on 24 September in Gdańsk, Poland. Norwegian violinist Mari Samuelsen will join the orchestra for a programme of music by Arvo Pärt, Kristjan Järvi, Gediminas Gelgotas, Wojciech Kilar, Imants Kalniņš and Sibelius. The second half of the programme will be performed entirely from memory. The orchestra’s two tours in 2017, ‘Waterworks’ and ‘Baltic Folk’, were both groundbreaking in their presentation. With ‘Waterworks‘, the Baltic Sea Philharmonic debuted a bold new fusion of music, light, visual art, sound design and fashion in collaboration with Sunbeam Productions. Along with spectacular projections and dynamic lighting design, the innovative presentation extended to the musicians wearing bespoke outfits from Estonian fashion house Baltika Group. The musical programme, which featured original arrangements of Handel’s Water Music and a new orchestration of Philip Glass’s Aguas da Amazonia, thrilled audiences in Germany and Denmark in May and August; concerts in Hattingen, Berlin, Peenemünde and Hamburg’s Elbphilharmonie were sold out, and 6,000 Danish children came to special ‘Waterworks’ school concerts in Copenhagen and Aarhus. The orchestra’s ‘Baltic Folk’ tour of Sweden, Italy and Germany in August made history with the world’s first ever memorised performance of Stravinsky’s The Firebird. The musicians played the 1945 orchestral version of the iconic ballet score entirely by heart, drawing praise from both critics and audiences alike. The tour included a sold-out concert at the Merano Music Festival in Merano, Italy, and a performance at the Rheingau Music Festival in Wiesbaden, Germany, a live-stream of which was viewed by 15,000 people. The Baltic Sea Philharmonic’s first major project of 2018 is ‘Nordic Pulse’. Inspired by the 100th anniversary of independence for the Baltic States of Lithuania, Latvia and Estonia, ‘Nordic Pulse’ also celebrates 100 years of independence for Finland and Poland and, furthermore, ten years since the birth of the Baltic Sea Philharmonic itself. The ensemble, under its Estonian conductor Kristjan Järvi, will perform music by Lithuanian composer Gediminas Gelgotas, Latvian composer Imants Kalniᶇš, Estonian composer Arvo Pärt and Polish composer Wojciech Kilar, as well as pieces by Sibelius and Järvi himself. Swiss violinist David Nebel will give the world premiere of Gelgotas’s new Violin Concerto in a concert in Germany in July. The European tour of ‘Nordic Pulse’ together with Norwegian violinist Mari Samuelsen in September will revisit the orchestra’s performance to play pieces entirely from memory. This year the Baltic Sea Philharmonic and Kristjan Järvi will perform Sibelius The Tempest and Kalniņš’ ‘Rock Symphoy’ by heart. The Baltic Sea Philharmonic and Kristjan Järvi will take their pioneering ‘Waterworks’ concert experience on the road again in 2018. After a concert in Germany in July, the orchestra will end the year with its first ever tour of the United Arab Emirates in November, giving performances of ‘Waterworks’ in Abu Dhabi and Dubai. Joining the orchestra and Kristjan Järvi again for this ‘Waterworks’ tour will be Russian-born violinist Mikhail Simonyan, as featured soloist in Philip Glass’s Violin Concerto No. 2 ‘The American Four Seasons’, and members of the New York-based Absolute Ensemble. The Baltic Sea Philharmonic is continuing its mission to develop young talent in the region by collaborating on the launch of an ensemble that brings together some of Europe’s top music students. The Baltic Academies Orchestra (BAO) will have its debut in February 2018 in Tartu, Estonia, with a week of rehearsals, masterclasses and workshops ahead of a tour of the Baltic States, Poland and Germany. Drawing on students from the national academies of Estonia, Latvia and Lithuania, together with students from, or studying, in the Baltic Sea countries, the BAO aims to bridge the gap between education and professional practice, giving high-level students new skills and experiences to help prepare them for their performing careers. Through the BAO, the Baltic Sea Philharmonic will complement its Academy LAB, an intensive series of workshops and seminars for young orchestral players, which has run annually as part of the Baltic Sea Music Education Foundation’s teaching and development programme. All BAO participants will have the opportunity to audition for the Baltic Sea Philharmonic, and thus get the chance to take their orchestral experience to the next level. In addition, students who are unable to attend the BAO education week can separately audition for the Baltic Sea Philharmonic in Tartu on 7 and 8 February 2018. Online applications for the 2018 BAO programme are open until 20 November 2017 on www.balticacademies.eu/participate-2018. Kristjan will be joined on the BAO’s launch programme by several of the Baltic Sea Philharmonic’s international team of coaches, among them bassoonist Martin Kuuskmann (Estonia), violinist Jan Bjøranger (Norway) and trumpeter Charlie Porter (United States). Estonian percussionist Heigo Rosin, a Baltic Sea Philharmonic alumnus, will also be part of the BAO coaching team. Learning from such experienced musicians will help equip BAO participants for future professional opportunities, and is the perfect preparation for training and performing with the Baltic Sea Philharmonic. The Baltic Academies Orchestra is a partnership between the Baltic Sea Philharmonic and Estonian music organisation GMF La Nota, with the backing of the Estonian Academy of Music and Theatre, the Jāzeps Vītols Latvian Academy of Music, and the Lithuanian Academy of Music and Theatre. As Estonia, Latvia and Lithuania prepare to celebrate the centenary of their independence in 2018, the BAO represents a striking new cultural collaboration, presenting the greatest Baltic music and the most talented young Baltic musicians to the world, and exemplifying the energy and outward-looking character of the region. Together, the BAO and the Baltic Sea Philharmonic will form a dynamic hub of Nordic creativity, nurturing talented young performers on their journey from high-level students to professional musicians. The collaboration also aims to build networks between musicians and composers, audiences, educators, music therapists, producers and arts managers, with the BAO offering training opportunities to a wide range of emerging music professionals, in addition to its main focus on orchestral players. In one of the most intense and exciting fortnights in its history, the Baltic Sea Philharmonic completed not one, but two international tours in August. In the space of just eleven days, the orchestra performed for 11,000 people in seven cities. The ‘Baltic Folk’ tour took the ensemble first to Visby, on the Swedish island of Gotland, where on 19 August Kristjan Järvi conducted the opening performance of a folk-inspired programme of music by Pärt, Rachmaninoff and Stravinsky. ‘Baltic Folk’ continued with sold-out concerts at the Rheingau Music Festival in Wiesbaden, Germany (20 August) and the Merano Music Festival in Merano, Italy (23 August). The Baltic Sea Philharmonic then returned to Germany to resume its groundbreaking ‘Waterworks’ tour, which it had begun in May. A spectacular fusion of music, light, visual art, sound design and fashion, ‘Waterworks’, which featured original arrangements of Handel’s Water Music and a new orchestration of Philip Glass’s Aguas da Amazonia, thrilled audiences in the sold-out Berlin Konzerthaus (25 August), the sold-out Peenemünde Kraftwerk (26 August), an open-air concert in Lutherstadt Wittenberg (27 August) and the sold-out Elbphilharmonie in Hamburg (29 August). With its ‘Waterworks’ tour, the Baltic Sea Philharmonic introduced a radical new style of performance presentation, combining music with cutting-edge lighting design, projection art and sound design. A 14-strong team from Sunbeam Productions, including lighting designer Bertil Mark, projection artist Philipp Geist and sound designer Ruben Ferdinand, transformed the musical performance into a fully immersive concert experience. The musicians also sported an exciting new look for ‘Waterworks’, courtesy of a clothing collaboration with Estonian fashion house Baltika Group. Designers from Monton, one of Baltika’s five international brands, created 13 different outfits for the men, and nine different outfits for the women, all of which were styled to reflect the water theme of the concert programme. For Kristjan Järvi, the effect of playing the Stravinsky from memory was both striking and liberating: ‘Not only is performing The Firebird this way creating history. It is also incredibly empowering. It has been a great achievement for all of the musicians, to break through their limitations, to cast aside their doubts and fears, and to immerse themselves in a realm of possibilities and freedom. The Baltic Sea Philharmonic welcomed an impressive range of musical partners for its tours in August. Fifteen-year-old Russian pianist Alexander Malofeev, one of the most exciting talents of his generation, joined the orchestra on its ‘Baltic Folk’ tour to perform Rachmaninoff’s Piano Concerto No. 2. For ‘Waterworks’, three members of the New York-based Absolute Ensemble – trumpeter Charlie Porter, bassist Mat Fieldes and percussionist David Rozenblatt – were embedded in the orchestra, and Russian-born violinist Mikhail Simonyan was the featured soloist in Philip Glass’s Violin Concerto No. 2 ‘The American Four Seasons’. And for the final ‘Waterworks’ concert, at Hamburg’s Elbphilharmonie, the orchestra collaborated with the girls choir Mädchenchor Hamburg for a special encore performance of Arvo Pärt’s Kuus kuus kallike (Lullaby Song). The Baltic Sea Philharmonic’s first ever concert at the Elbphilharmonie in Hamburg will be livestreamed on the venue’s website www.elbphilharmonie.de/de. The performance, at 8.00 pm CET on Tuesday 29 August, marks the end of the orchestra’s pioneering ‘Waterworks’ tour of Denmark and Germany with conductor Kristjan Järvi. The concert is already sold out, with an audience of 2,100 expected at the Elbphilharmonie, so the live stream will give even more people the opportunity to experience the Baltic Sea Philharmonic’s bold new fusion of music, lighting, projection art, fashion and sound design. In addition, the performance will be broadcast live on a giant screen to spectators in the Plaza outside the Elbphilharmonie, and will be shown a further three times during the Hamburg Cruise Days festival from 8 to 10 September. The ‘Waterworks’ programme includes one of the most famous of all water-themed pieces – Handel’s Water Music, in a special arrangement featuring variations by contemporary composers Charles Coleman and Gene Pritsker. The orchestra also celebrates the 80th birthday of American composer Philip Glass by performing his Aguas da Amazonia – in a new orchestration by Charles Coleman – and his Violin Concerto No. 2 ‘The American Four Seasons’, with Russian-born violinist Mikhail Simonyan as soloist. The concert at the Elbphilharmonie will include a special collaboration with the girls’ choir Mädchenchor Hamburg from Jugendmusikschule Hamburg, in which the 60-strong choir will perform an encore with the Baltic Sea Philharmonic. ‘Waterworks’ heralds an exciting new era for the Baltic Sea Philharmonic, with the introduction of an immersive concert show format. The orchestra has collaborated with lighting designer Bertil Mark, projection artist Philipp Geist, sound designer Chris Ekers and a team from Sunbeam Productions to transform the concert experience for audiences. The musicians also have a striking new look on stage, thanks to a clothing collaboration with Monton, a leading brand of Estonian fashion house Baltika Group. The Baltic Sea Philharmonic’s ‘Waterworks’ concert with Kristjan Järvi in Berlin this Friday, 25 August 2017, will be livestreamed by European cultural channel Arte. The performance at the city’s Konzerthaus, at 8.00 pm CET, is part of the Young Euro Classic festival, which Arte (Concert.arte.tv/young-euro-classic) is covering with live streams of seven concerts. Arte’s coverage is especially welcome given that the Berlin concert is sold out, with 1,600 people expected at the venue. Together with the live-stream audience, they will experience an innovative concert show that fuses music, lighting, projection art, fashion and sound design. The Berlin concert is the first of four performances in Germany in the next days for the Baltic Sea Philharmonic, as it continues its pioneering ‘Waterworks’ tour. The ‘Waterworks’ adventure began in May with a series of enthusiastically received concerts in Hattingen, Germany, and Copenhagen and Aarhus in Denmark. After Berlin, the orchestra will next perform in Peenemünde, on the island of Usedom, on 26 August, then in Lutherstadt Wittenberg on 27 August, and finally at Hamburg’s Elbphilharmonie on 29 August.